Marianna Jackson (previous name: Marianna Szoke) was born in Budapest, Hungary. She is the owner of the Body ’n’ Soul Wellness Academy, internationally recognized Health and Wellness Coach, European Fitness Model, Nutritionist and Wellness Consultant, Pilates Master Trainer, Personal Trainer. Marianna has been a leader in the fitness industry for 22 years. She is a very successful business entrepreneur in Europe. In 2000 she was the first to teach Pilates movement in Hungary and is known as “The Lady of Pilates” there. Between 1997 and 2002 she was operating 3 fitness clubs in Budapest, named: Body ’n’ Soul Wellness Club. In 2002 she set up her american company , the Body ’n’ Soul Wellness Academy and started to teach the Pilates method. Marianna was also working as a Fitness Modell for years in Hungary. She appeared in different fitness and women magazines, she was the Cover Girl of one of the biggest Hungarian magazine, named SPORT Magazine. She has published two of her own Pilates programs on DVD (in Europe) and is working on the next one. She created her own fitness program, named Spine Balance Training™ and wrote the book of her new program, which is published in the United States. She made her second DVD (Spine Balance) in Las Vegas, Nevada, USA. Between 2013 – 2015 she was teaching her own program (Spine balance) and the Pilates method at the PFI (Professional Fitness Institute) in Las Vegas. 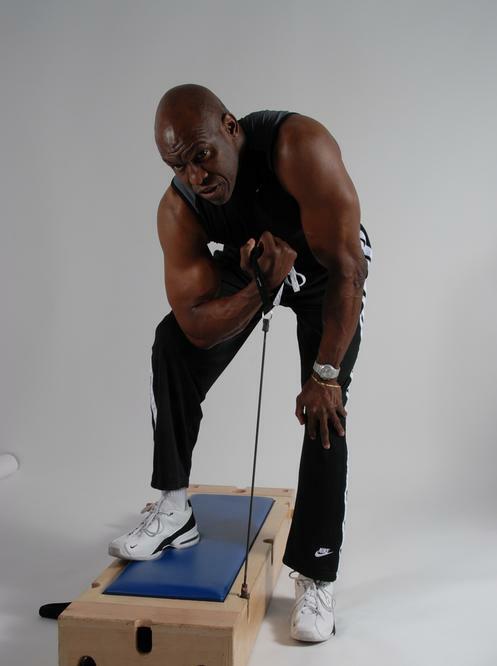 In 2014, she met Michael Jackson Fitness Engineer, the inventor of the Powerbox System. They could understand each other immediately, they become business partners, than friends. Marianna put her 350 Pilates exercises on the Powerbox and they created the Powerbox Pilates System together. Their newest business name is Powerbox Zone. Marianna and Michael have been together for 5 years and they got married in March, 2017. Marianna can proudly say that she built the B’n’S Wellness Academy by herself from zero business background. Today she has got 16 teachers and 4 managers and the B’n’S courses are available in different cities. Marianna is also the President & CEO of the American – Hungarian Journal. Her magazine is a very colorful and interesting online magazine with different coloumns in English and in Hungarian languages (www.americanhungarianjournal.com ). In March , 2016. 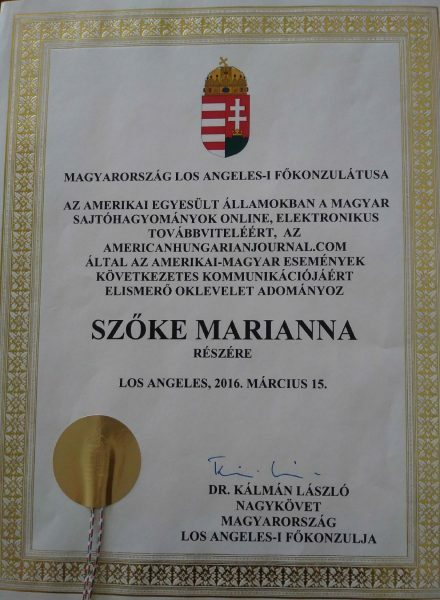 Marianna received the Hungarian Consulate’s certificate for her excellent American-Hungarian media work in the United States.